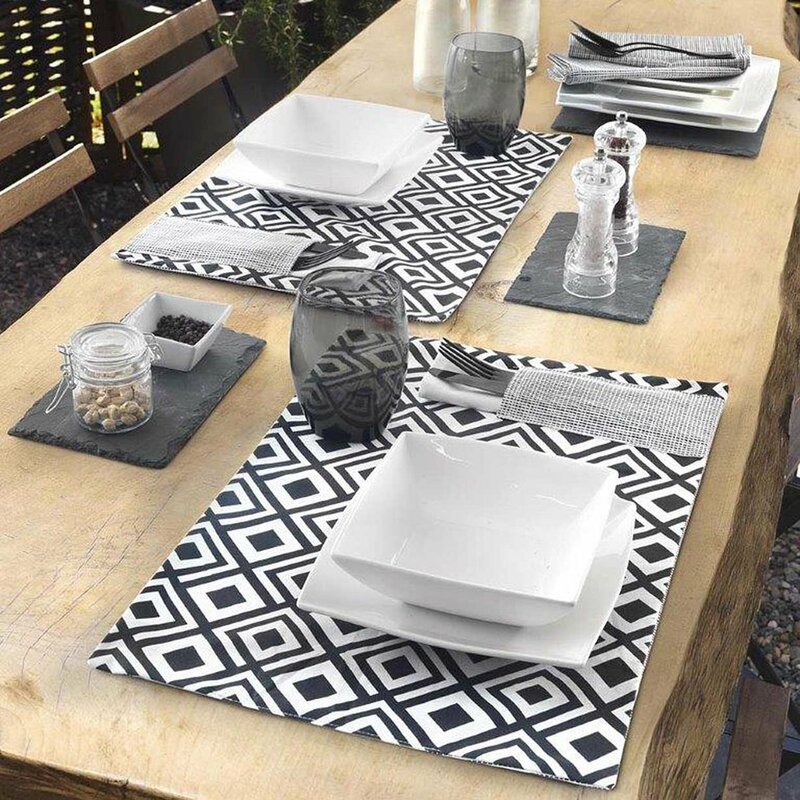 The pleasure of a good breakfast with the timeless style of the two American Mondrian placemats from the Black&White collection. this set has an all-over double-sided print on pure cotton panama fabric and is padded with 80 gr/sqm polyester. The very fine and soft pure cotton of Vallesusa, leader in table linen since 1800, guarantees quality and resistance, also recognized by the Oeko-tex certification. The photo has the sole purpose of representing the use of the product. It is possible to wash the set in a washing machine at 40 degrees. 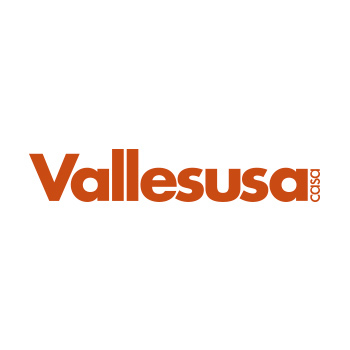 Vallesusa is a historic brand that was founded in Val di Susa in 1800. From the beginning the industrial complex has developed a strong know-how in the production of innovative fabrics, a feature that has remained constant over time. 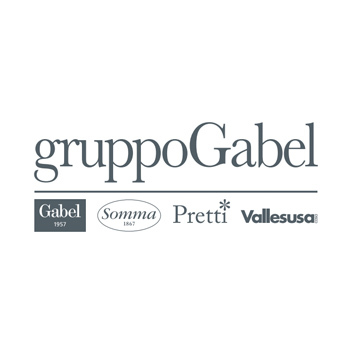 This is how in 1976 the Gabel group decided to acquire the Valais brand and developed it in all the household linen segments, but above all in the table and kitchen sector, offering new and particularly useful solutions to the market, such as stain-resistant fabric in tablecloths. The continuous search for innovation both in terms of product and style has always distinguished the collections that offer a wide choice suitable for any style of home furnishings. Vallesusa directly produces and manages all the phases of the textile supply chain, from the choice of cottons, to weaving, from dyeing to printing to the finished product and it does so in Italy, thus offering the market the true Made in Italy.